You are here: Home / General / FREE Voiceover Class January 19th! FREE Voiceover Class January 19th! We’re thrilled to offer this once in a lifetime opportunity at our Find Your Voice center, for participants ages 18 and up. Actor, veteran broadcaster and VO2GoGo founder, David H. Lawrence XVII, is a leader in the field of voiceover. 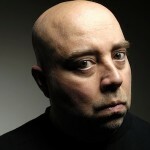 We welcome him to our Lake Elsinore location on January 19th at 7:30pm, and hope you’ll join us for this unique event. Read on, for more from David about this free session. I’m David H. Lawrence XVII. I teach award winning voice over classes, and I want to teach you how to build a terrific, rewarding and profitable VO career. And this is the number one question I get asked. Now, after working for the last couple of years creating this curriculum, honing the courses and lessons I teach live in Los Angeles, across the country and around the world, and drawing from my daily life as an actor and VO talent, I can finally answer that question. How serious about VO are you? If you’re serious about creating a terrific, profitable VO career, I can help. 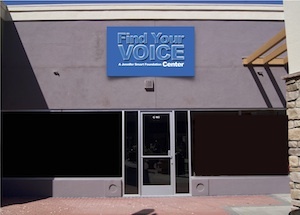 At the Find Your Voice Center, this Thursday, January 19, 2017 at 7:30pm, I’m giving my free live class called Getting Started in Voice Over. And it answers that question completely. And it will do a lot more. You will build a roadmap to creating a successful VO career. You will acquire the simple tools you need for a successful VO career. You will find the amazing microphone and recording software you need for a successful VO career. You will gain the performance skills you need for a successful VO career. You will identify the career management skills you need for a successful VO career. So…with all that available to you for free…may I please be your VO teacher? Three easy lessons, filled with advice, strategies and tactics, all in one awesome, free live course, at the Find Your Voice center. I’ll walk you through the process, step by step, laying out a complete roadmap with exactly how to get started and what tools and skills are needed to be successful in professional paid voiceover. This class is absolutely free. And…M&Ms will be served. Why: to create a successful, satisfying and profitable VO practice. Seats will fill up quickly: Register here. Any seats available? I am currently setup for VO work, have recorded 3 audio books and am looking for any tips to further my career.